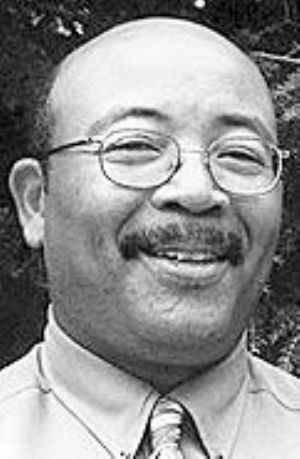 FROSTBURG?— Bernard “Bernie” Wynder, 58, of Frostburg, passed away on Thursday, June 20, 2013, at his residence. He was born Jan. 4, 1955, in Baltimore City, to Mary Elizabeth Scovens and the late Joseph Wynder. In addition to his father, he is preceded in death by one brother, Ralph Wynder. Mr. Wynder graduated in 1974 from Mergenthaler Vocational-Technical High School, where he served as President of the Student Senate for the Baltimore City School System. He is a 1978 graduate of Frostburg State University. He received his Master of Education in 1984 from FSU. Mr. Wynder started his professional career in January 1979, accepting the position of Admissions Counselor & Minority Recruiter at Frostburg State, moving to Coordinator of Minority Recruitment at Slippery Rock University, then back to FSU in 1982 as Associate Director of Admissions; he served in this role until 1986. Promoted to the Director of the Office of Student Human Relations and Minority Affairs, he improved the campus climate for those who bring diversity to the FSU campus and developed the academic monitoring program, which is still in use today. As a consultant in the area of Human Relations he has conducted workshops and lectures for high schools, churches, universities, businesses and civic groups. In 1996, Mr. Wynder took over the management duties of both the Admissions and Financial Aid offices at FSU. In 2001, Mr. Wynder moved to the Athletic Department where he served as the Assistant Director of Athletics. While there he worked with coaches and the Office of Enrollment Services to develop recruitment activities for athletes and to increase their retention rates. As a result of a task force on transfer students, the President asked Mr. Wynder to create an Advising Center that would serve transfer and undeclared students. He served as Director there until his promotion to Assistant Vice President of Student Services. In 1986, he received the Trio Achiever's Award for the State of Maryland, was inducted into Mergenthaler Vocational-Technical High School’s Hall of Fame in 1993, received the Frostburg State University’s Alumni Achievement Award in 1997, and the College Admissions Representative of the Year award given by the College Bound Foundation for service to Baltimore City high school students in 2002; and in 2005, he received the NAACP Image Award. In 2010, Mr. Wynder was one of three Marylanders honored as a “Living Legend” by the Associated Black Charities for his “profound achievement in higher education.” He is also an alumnus of Leadership Allegany. Over the last 30 years, organizations throughout Western Maryland have benefited from Mr. Wynder’s wisdom, integrity and his commitment to this community. He has served on numerous organizational boards in the Western Maryland area: Maryland Salem Children’s Trust, Western Maryland Food Bank, Potomac Council Boy Scouts of America, Big Brothers/Big Sisters, Allegany County Multicultural Committee, American Red Cross the City of Cumberland Mediation Advisory Council. In addition, he has served on the Allegany County Human Relations Commission, President of the Allegany Branch of NAACP, and chair of the Friends of the NAACP. He is mourned by the students of FSU and by his brothers in Omega Psi Phi for whom he served as a mentor and a source of inspiration. Many alumni attribute their success to his caring guidance. His love and concern have transformed the lives of generations of Frostburg students. Surviving is his wife of 32 years, Robin Vowels Wynder; son, Bernard “Bear” Wynder Jr., of Cumberland; daughter, Brandie McIntyre, of Brandywine; three grandchildren, Gabrielle, Neviah and Kamea McIntyre; two sisters, Joan Wynder Smith and husband Samuel, of Kennesaw, Ga. and Lynette Lynch and husband Charles, of Baltimore; two brothers, Clinton Wynder, of Baltimore and Joseph Wynder Jr. and wife Michelle, of Baltimore and numerous nieces and nephews. Family and friends will be received at Durst Funeral Home, 57 Frost Ave., Frostburg, on Sunday, June 23, 2013, from 2 to 4 and 7 to 9 p.m. Following the viewings, Bernie will be cremated in accordance with his wishes. Funeral services will be conducted in the Frostburg United Methodist Church, 48 W. Main St., Frostburg, on Monday, June 24, 2013, at 11 a.m. with Pastor Stephon Knox officiating. A luncheon will be held following the service. In lieu of flowers, memorial contributions in Bernie's honor may be made to the Bernard Wynder Legacy Fund, c/o the Frostburg State University Foundation, Frostburg State University, 101 Braddock Road, Frostburg, MD 21532.